Shree Jalaram Mandir of Hoffman Estates, a northwest suburb of Chicago, held its Annual Health Fair recently. The two-day health fair was held on March 31 and April 7. On both days, services started at 8 am and concluded at 1 pm. About 210 patients participated in the free medical service and 90 medical / non-medical volunteers helped make the events a success. Patients and health care volunteers came from all over Chicago Metropolitan area, according to a press release. The temple has been organizing these health fairs since 2010, delivering free services including comprehensive medical checkups and consultation with specialists in various fields. Most attendees who took advantage could not afford medical insurance or had no access to medical services due to transportation or language barriers, and residency requirements, the press release said. On March 31, blood tests, urine tests, EKG, bone density and body -mass tests were performed. On April 7, results of testing were reviewed by 6 general physicians and discussed with each participant. In addition, dental screening and guidance, dietician and diabetic education, and physical therapy was provided by experts in the field. Eye screening was provided by medical students from Chicago College of Optometry, Midwestern University – Eye Institute. 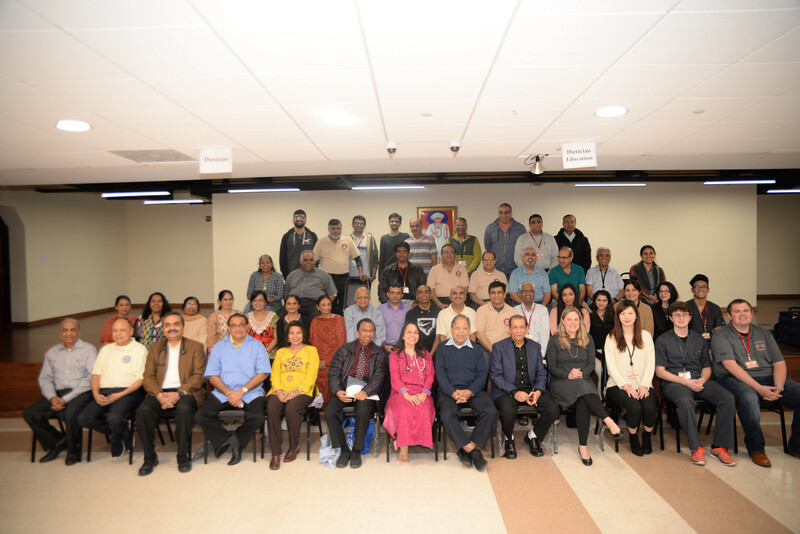 Bakul Thakkar, chairman and main coordinator from the Mandir team and Jayanti Thakkar, member of the Lohana Association of Greater Chicago, thanked the volunteers and doctors for their services. Snacks and lunch were provided to volunteers, doctors, students and visitors who participated in the event.